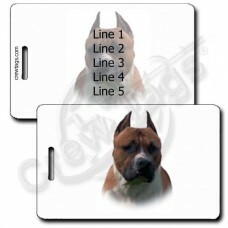 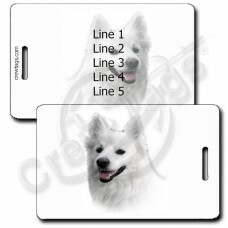 Get your very own Dog Luggage Tag to help you with your bags. 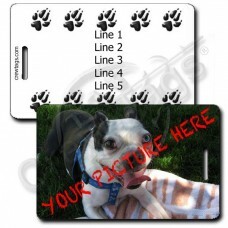 (well, maybe not so much, but it will help you figure out which one is yours!) 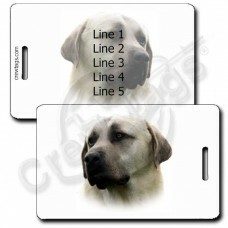 We can print just about anything you want on up to five lines of text. 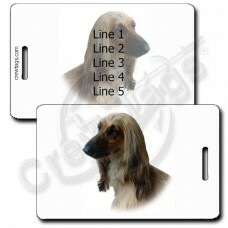 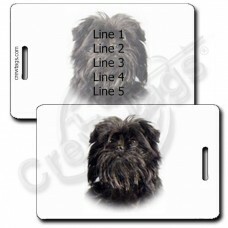 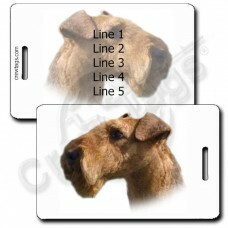 Get your very own Affenpinscher luggage tag with the Affenpinscher background to proudly show off yo..
Get your very own Afghan Hound Luggage Tag to proudly show off your favorite breed. 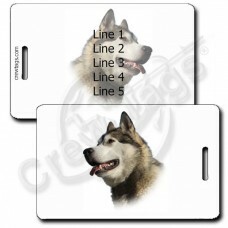 We can print ..
Get your very own Akita Luggage Tag with the Akita background to proudly show off your favorite bree..
Get your very own Alaskan Malamute Luggage Tag to help you with your bags. 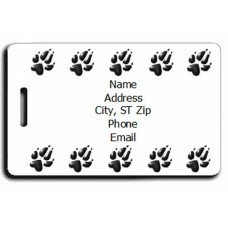 (well, maybe not so much,.. 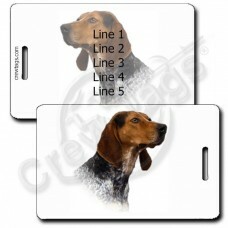 The American English Coonhound is a great hunter and is here to help you find your bags. 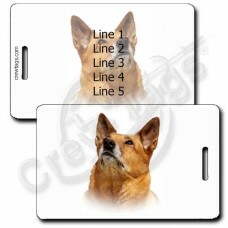 We can p.. 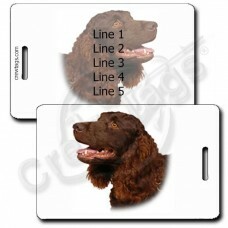 The American Water Spaniel is the official State Dog of Wisconsin. 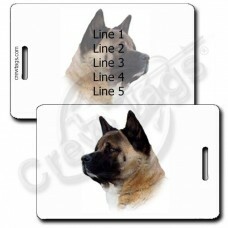 Help show off your favorite dog w..
Get this Anatolian Shepherd Luggage Tag to guard your bags today! 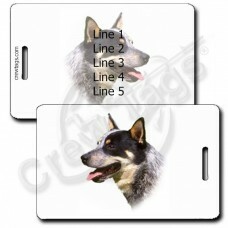 We can print just about any..
Let this Red Australian Cattle Dog luggage tag herd your bags. 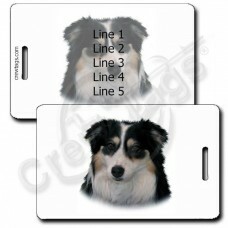 Maybe it will even "Nip" anyone who t..
Let this Australian Shepherd Luggage Tag guard your bags for you!We can print just about anything yo..